I’ll admit I’ve become one of those “essential oil people” who have them in every room and use them daily. ha! Although, I understand the limits and safety precautions of essential oils (which not everyone seems to, unfortunately!). They’ve become a very regular part of my life and well as my children’s lives. 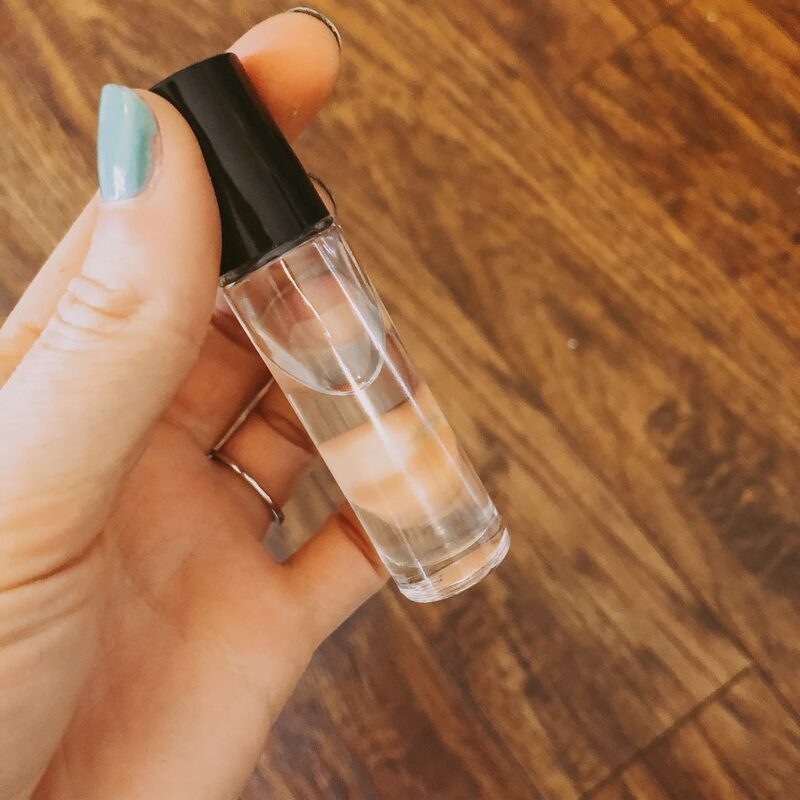 At home we diffuse oils pretty regularly (this is my favourite diffuser but this one looks really cool too) and my son asks for his sleepy oil every night. I also like to have oils with me when we travel or are just out of the house. 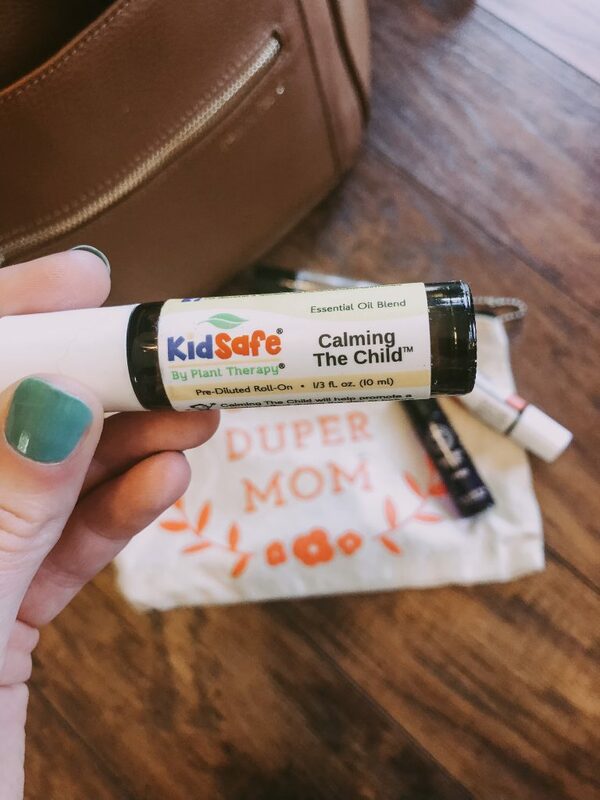 Some of these oils get used at home too but they’re all helpful to have on hand wherever you are whether you’re trying to calm a worked up kiddo, give yourself an energy boost, heal a boo boo, boost the immune system before entering a kids play gym (we all know how easily our kids can get sick there!) or soothe your belly after a big meal out. I mainly purchase from NYR Organic and Plant Therapy but do have a few from other places. 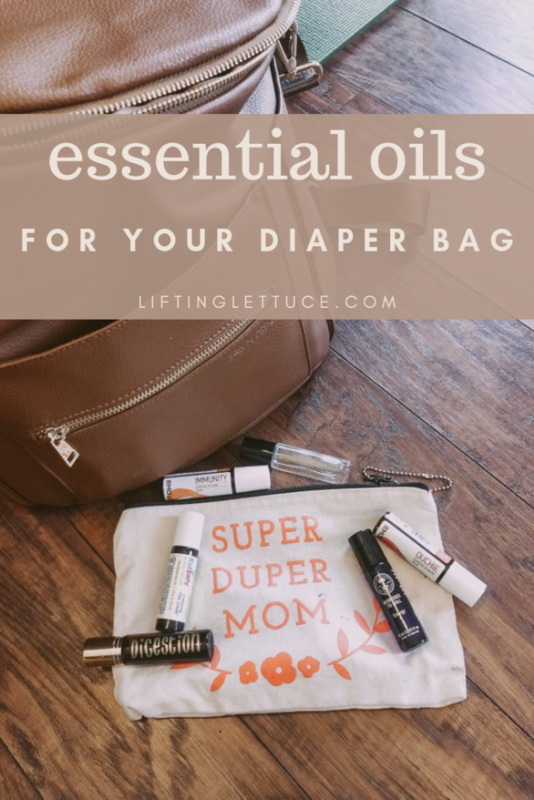 These are my favourite oils to have on in my diaper bag (which is by Fawn Design and I LOVE it but there’s also a cheaper dupe on Amazon apparently)! They all come in a diluted roller ball so they are SUPER easy to use. The kid ones are properly diluted for ages 2+ (except the teething one which is safe for younger babes too). You can bet I roll this all over Beckett (he’s almost 4) before he plays at any of those indoor gyms, haha. At home we also use it before play dates. This one contains Frankincense, Lemon, Lavender, Cardamom, Marjoram. There’s also this one which contains eucalyptus so it’s not for anyone under age 10. I bought these empty bottles and ordered custom labels to make some of my own blends. This is actually just the digestion blend from Plant Therapy diluted with this carrier oil blend (on sale for under $15!) but you could also make a simple one with peppermint (or spearmint if you’re breastfeeding), ginger and fennel! 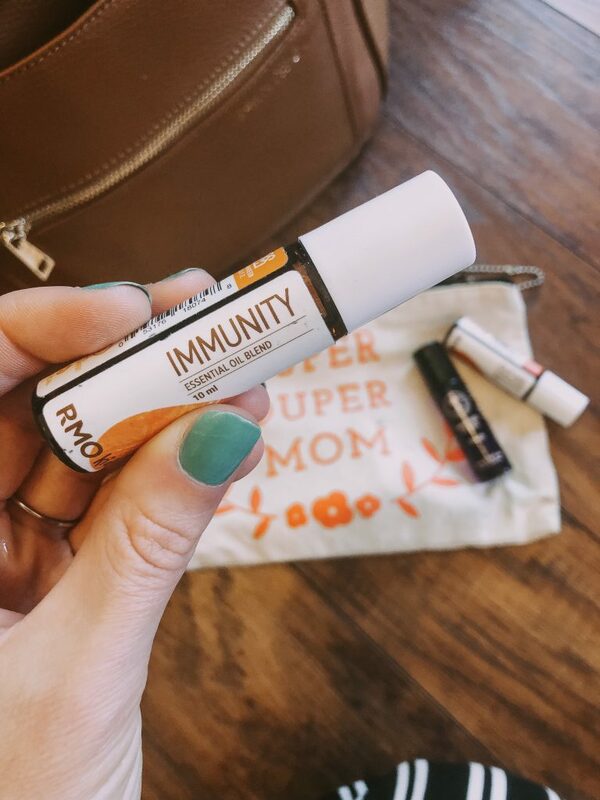 I don’t use too many oils topically on Finnley (or before age 2) but this one? This one is a must. I feel like I tell everyone about this little bottle of magic! It’s from Baybee Boutique and contains Lavender EO, White Fir EO, Organic Fractionated coconut oil. Simple but so effective. When Finnley is fussing, I run this along the outside of her jaw and within 5min she is calmer especially when teething. I reach for this one when Beckett is at a level 8 and I need him at, like, a level 3 😉 No but honestly I like this one when we have to leave somewhere fun and he’s having a hard time leaving or when we have a long car ride or just when he’s upset and I’m trying to help him settle down. 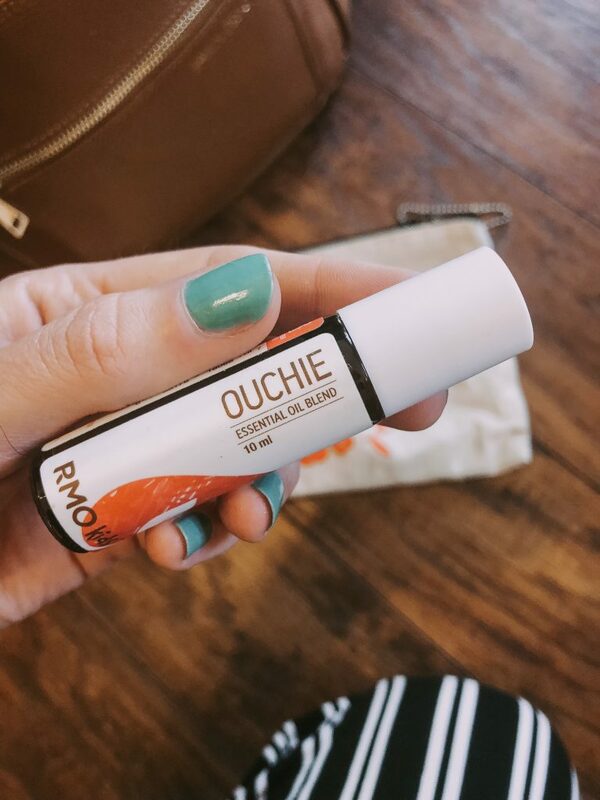 In this bottle you’ll find Mandarin, Tangerine, Lavender and Chamomile Roman blended 2% into a base of Coconut Fractionated Carrier Oil. Okay this is one for me! 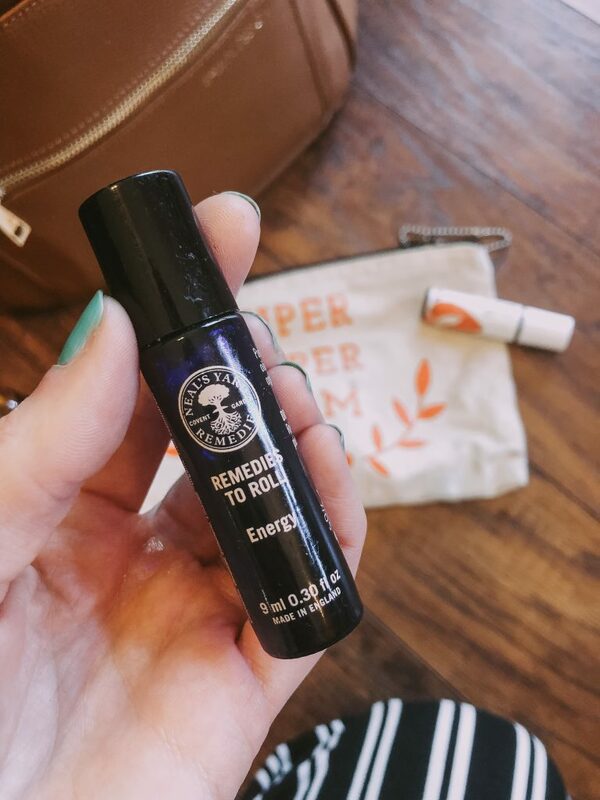 I love love the NYR Organic roll ons- they are SO effective! This is definitely one of my favourites. 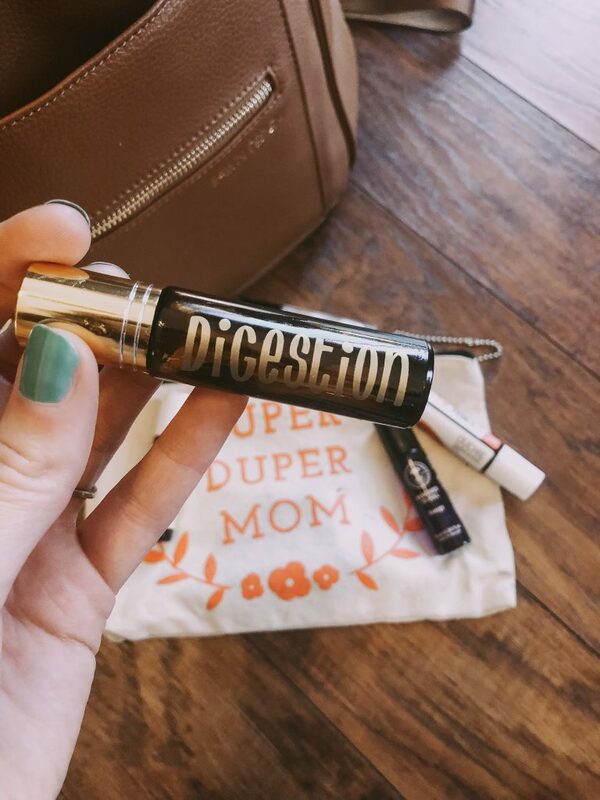 I use it most afternoons, at home or out, when I feel like I need a little pick me up! 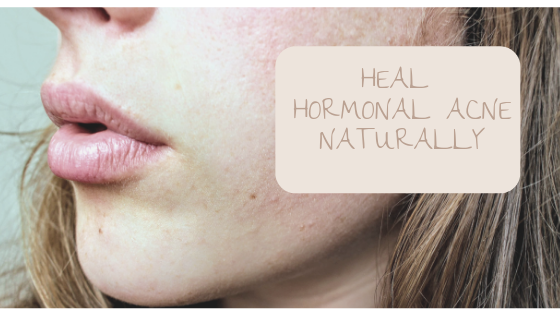 This blend contains rosemary, lavender, grapefruit, geranium and vetiver in a sunflower oil base. Technically I keep this in our medicine cabinet but I do often take it places as well because any time my son hurts himself he asks for it haha I have no idea how much it actually helps or if it’s just a placebo effect but this and arnica cream are our go tos and it makes him feel better. This one contains Mandarin, Lavender , Foraha, Helichrysum , and Geranium in a base of 98% Fractionated Coconut Oil. 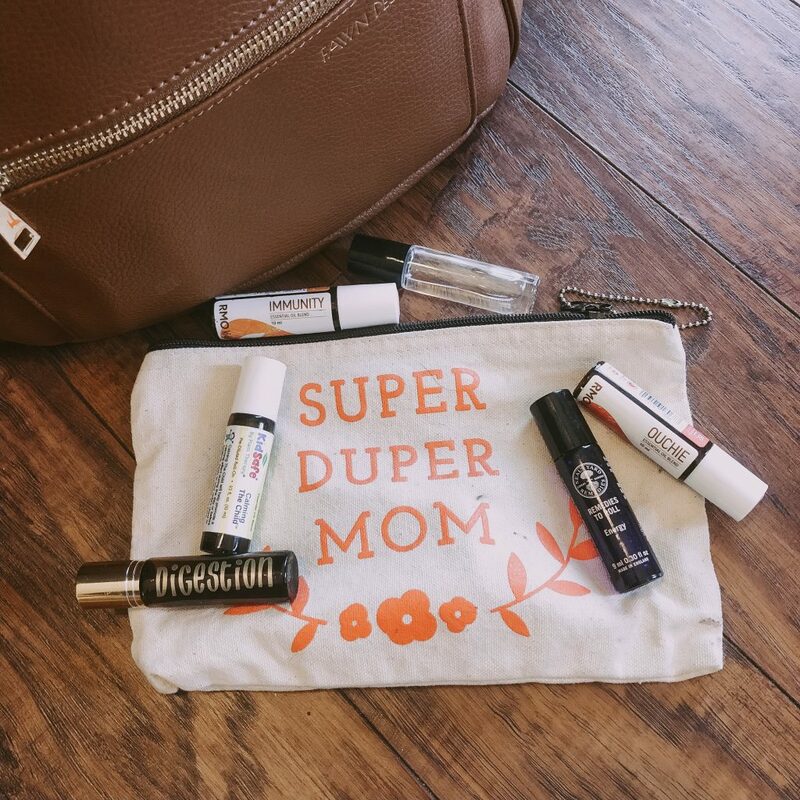 What essential oils do you keep in your diaper bag (or purse)? ?